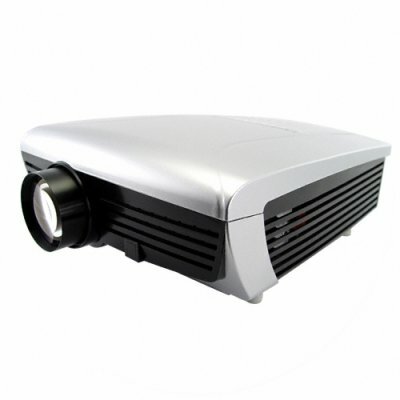 Successfully Added VGA Multimedia LCD Projector with TV Tuner - 230V to your Shopping Cart. VGA Multimedia LCD Projector with TV Tuner- a great multifunction projector for any home or office. This unit will be perfect for office presentations with a handy VGA input that will give connection to your notebook computer or desktop box. With the S-Video connection you'll be watching movies on a potentially huge screen - 150 Inches!! Projectors are a great way to get big screen sizes with little money and lounge space required, and with Chinavasion we make it even better with a 12 month warranty and no M.O.Q. (no minimum order quantity) on all of our wholesale products. This projector uses the model CVSAK-3301 bulb. Click here to order a spare / replacement bulb. Click here for notes on projector bulb warranty conditions. I also bought this and i never regreted it . I gave it to my brother as a birthday gift. I welcome him to the club of boys in style . This is the greatest gift his has ever recieved.He said.